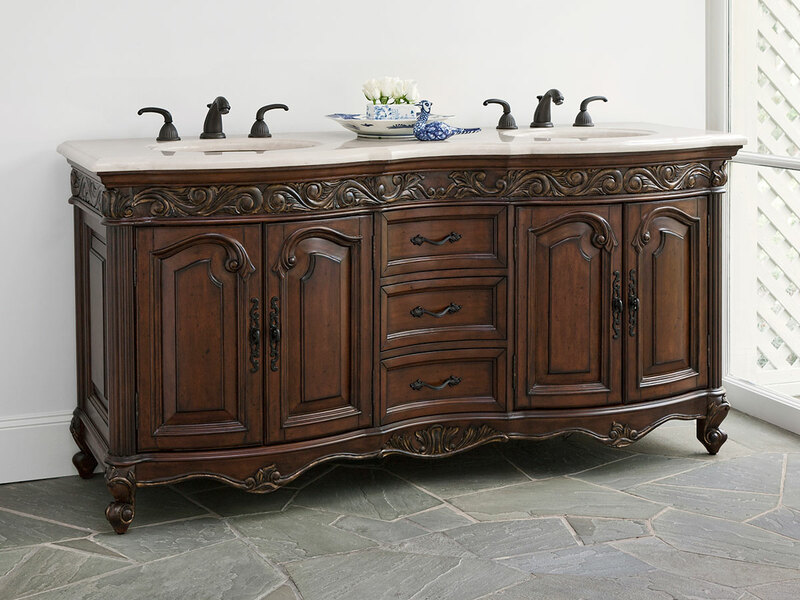 The Provincial Double Sink Chest offer a rich, dark mahogany finish with exquisite details. The double chest includes two sinks and several faucet option are available. The bone fossil stone top offers a pleasant contrast to the cabinet's finish. 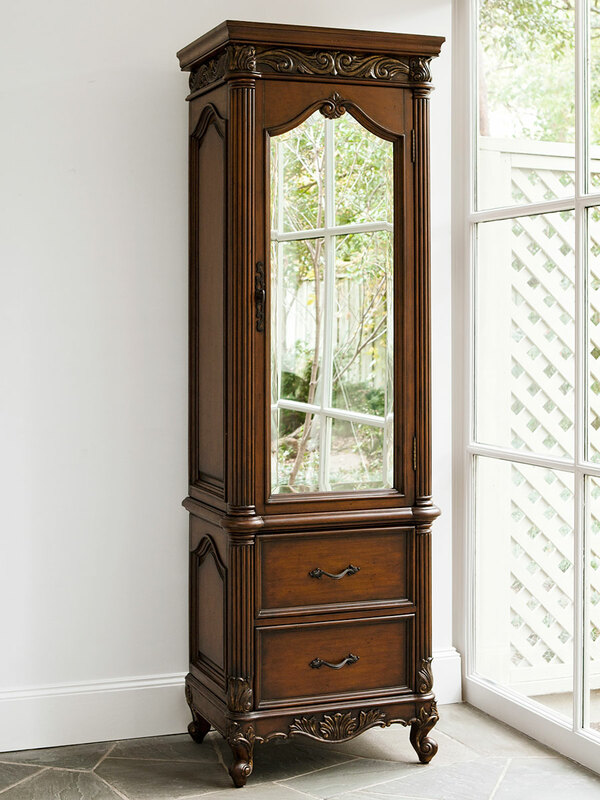 Two double door cabinets offer ample room for storage. The antique gold highlights really make this piece stand apart from other antique pieces. For grace and sophistication, the Provincial is the way to go. The cabinet arrived well packed and undamaged. The quality of the cabinet is good, but there is one major oversight by the manufacturer; no drawer glides ! The simple friction glides are anything but smooth. To make matters worse, there is less than 1/2 in. spacing on each drawer side which is a standard for drawer glide hardware thickness.